Death is an inevitable part of life. Many of us are reluctant to face that fact but the last time I checked, none of us will live forever; therefore, planning for end-of-life events is not only prudent, but it is also an excellent way to protect the assets you obtained during your lifetime and a certain manner in which you can ease end-of-life burdens on your family. By discussing your wishes with loved ones and preparing a Living Will and DNR you offer some assurance that decisions regarding your end-of-life medical care will reflect your independent values and desires. 1. Living Will: An Advance Healthcare Directive (a/k/a Living Will) is a document that should in no way be confused with a Last Will and Testament. In a LW&T, you designate a personal representative (f/k/a executor) and leave property to others at death. Instead, a Living Will provides you the ability to inform others what type of medical treatment you want withheld or withdrawn under certain circumstances. Missouri law provides for the creation of such documents if there is clear and convincing evidence that the person stated in advance his or her wishes so to be deprived. Cruzan v. Harmon, 760 S.W.2d 408 (Mo. 1988). For those of you who are hesitant to create a Living Will, perhaps the following illustration will allow you to understand the measures required to address this decision if you do not. On January 11, 1983, Nancy Cruzan was driving home from her cheese factory job in Carthage, Missouri when her car overturned causing her severe injuries. Every day following her accident, Nancy’s body was rigid and her feet and hands contracted and bent. She had occasional seizures, vomited, and every now and then her eyes would open and move. She breathed without a ventilator, but from all accounts, she showed no sign of recognizing her family following the accident. But the state of Missouri, which contributed approximately $112,000 a year of taxpayer money to keep Nancy alive, fought the Cruzans, taking the case all the way to the Supreme Court during an eight-year legal battle. After the high court’s 5-4 ruling, the Cruzans asked Judge Teel to present new evidence from three of their daughter’s co-workers who unanimously testfied that they recalled her saying she would never want to live “like a vegetable.” At the same hearing, Nancy’s doctor and court-appointed guardian also concurred that her life was a “Living Hell.” Judge Teel ultimately ruled that the feeding tube could be removed. Eight years after the crash that left her in a vegetative state, six months after the United States Supreme Court’s ruling on her right to die and 12 days after her parents won their legal argument to remove her feeding tube, Nancy Beth Cruzan died at the age of 33. 2. Do Not Resuscitate Order (DNR): In order to avoid emergency medical care by resuscitation, you likely need a DNR. This brief but important document alerts emergency personnel that you want them to refrain from providing cardiopulmonary resuscitation (CPR). DNR orders may supplement other health care directives and can be created by those who are already critically ill or those who find such measures and life-prolonging treatment unnecessary or intrusive. Many hospitals already require this document, but you may voluntarily submit one to your primary care physician for safekeeping in your medical record. 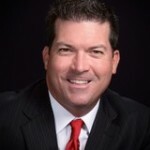 Todd Miller is the Senior Partner of the Law Office of Todd Miller, LLC in Jefferson City, Missouri. He received his B.S. with honors from Lincoln University in 1991 and his Juris Doctorate from the University of Missouri in 1999. He and/or his employers were recognized as Golf Tax Consultant of the Year by Boardroom Magazine for three of five years and Mr. Miller was selected as candidate for one of the “10 Best” Attorneys for the State of Missouri by the American Institute of Family Law Attorneys; one of the “10 Best” attorneys for the State of Missouri by the American Institute of Criminal Law Attorneys and one of the Nation’s Top Attorneys by The National Association of Distinguished Counsel. He formerly hosted a radio talk show entitled the “Mid-Missouri Legal Advocate” on KRMS News Talk 1150AM and 97.5FM. You may also find him on Facebook, Google+, LinkedIn, Twitter and at www.toddmillerlaw.com.